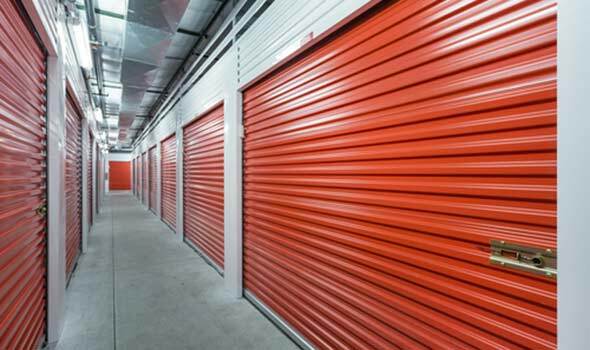 Available amenities and security safeguards at self-storage facilities in the Inland Empire and elsewhere vary considerably. When it comes to selecting a facility, you want a place that has the capacity to “store your stuff” and also protects your valuables. Leaseholders trust the professionals at Vines Storage to protect their heirlooms and confidential business documents. 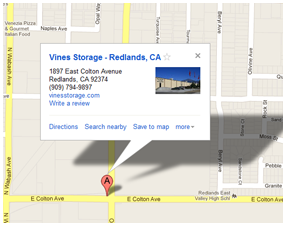 These clients will confidently tell you that we provide a truly Secured Self Storage Service in Redlands CA. Industry reference guide Self-Storage Almanac notes most of the facilities that reported a burglary were poorly-lit, located in abandoned and high-crime areas, and were not outfitted with features such as computerized gate access, a perimeter fence, and video surveillance. In all, the Almanac reports 65% of facility respondents have access control, around 83% have perimeter fencing, and nearly 82% use video cameras onsite to surveil their property. Moreover, security professionals note that “basic” security features can still be thwarted by thieves. They emphasize professionals who are on site through the night, which is a rare feature in the self-storage world. Fortunately for you, a facility with all of these security features (and more) is available nearby in the Redlands: Vines Storage. 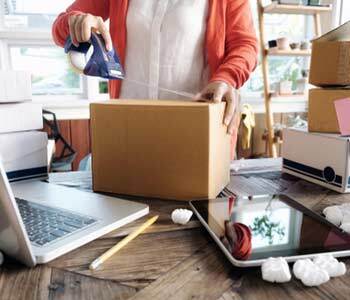 Industry association Inside Self-Storage recommends several features to look for in a facility you can trust with your overflow household items or business documents. Vines Storage is proud to say we check all these boxes! Well-maintained – While it’s easy for technology’s “bells and whistles” to outshine these tried and true security measures, a facility that is clean, neat, and tidy is the first layer of protection from burglars and vandals. A facility that allows windows to stay broken or cracked doesn’t keep up with the trash or is over-grown with weeds invites graffiti artists and all sorts of other activities that you don’t want anywhere near where your precious property or investment is stowed away. Vines Storage takes great pride in our expansive facility. It has fantastic “curb appeal” that acts as a deterrent against the criminal element, and the inside of the facility is equally sparkling-clean and trash-free. Our attitude towards maintenance also helps to keep other elements away, including pests and critters that can cause significant damage to your belongings if allowed to flourish. We’re also located off of the Interstate 10 Freeway. In addition to being a convenient location, this feature is important because properties near higher-traffic areas are not the targets that properties in isolated and desolate areas might be. As if these characteristics weren’t daunting enough to thieves, our “perimeter fencing” is actually an 8-foot cinderblock wall. Why “protect” with a flimsy chain-link fence when you have a “fortress” to truly make thieves think twice about breaching the perimeter (and getting closer to your things)? Security hardware – Cameras, access control, alarms, lighting, and other features have two key benefits: They are highly functional and deter vandals and thieves (see above). A well-lit property with visible security tools is less likely to be vandalized or burglarized than a property in a dark, secluded area that either doesn’t have visible cameras or security features, or that obviously hasn’t maintained those cameras. High-tech eyes aren’t functional when they’re broken! Our security technologies include 32 video surveillance cameras, an alarm system, and a secure entryway. Each leaseholder is provided with a security code, which must be submitted to gain access to the facility. The personal touch – A truly safe facility is distinguished from a more vulnerable storage facility not with basic technology, but rather with people who see what cameras can miss, or who can sense or detect when something is amiss. Our professionals get to know each of our leaseholders. They know what red flags to watch for to keep your valuables protected. In addition, we have personnel on hand 24/7. Consider this a “full-coverage” facility, with ‘round-the-clock staff as well as strategically-placed cameras throughout the property so there are no holes in security that make certain areas of our site vulnerable to criminals. It’s the sum of all these parts that make for a truly secured self-storage service provider. Our leaseholders come first at Vines Storage. Security, convenience, and value-added amenities add up to a great experience. See for yourself! Call 909-389-6209 to schedule a time to visit our facility, or to reserve your unit today.